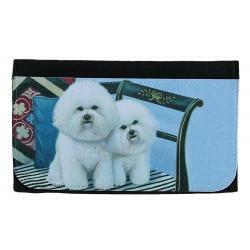 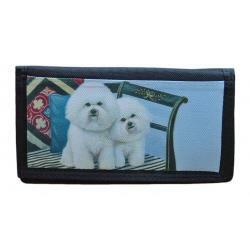 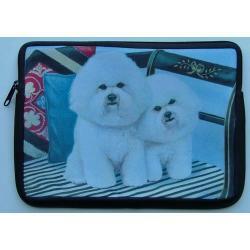 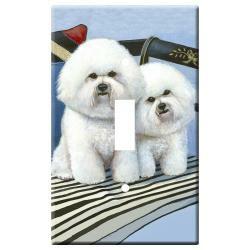 Our Bichon Frise gifts are created using exclusive Bichon dog breed art by Gone Doggin, our unique dog gifts are high quality breed specific dog lover gifts that ship worldwide. 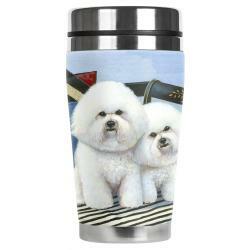 A cheerful, happy dog, the Bichon Frise is small and sturdy with a dark-eyed inquisitive expression and a plumed tail it carries merrily over the back. 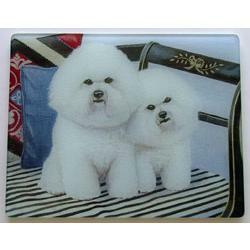 The breed is often compared to a cotton ball due to its curled double coat, which consists of a textured outer coat and a silky undercoat. 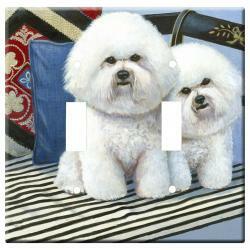 The Bichon Frise is a part of the non-sporting group and was recognized by the American Kennel Club in 1972. 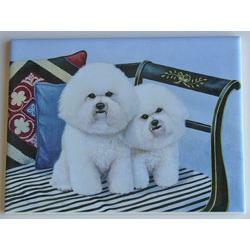 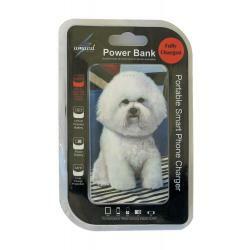 Unique Bichon gifts for dog lovers, by Gonedoggin!